Image Credit: ANOTHER TIMES XXI, 2013 © Antony Gormley. On Fulsam Rock on the Margate Foreshore. Photography by Thierry Bal. England’s Creative Coast is a vibrant cultural region spanning Kent, Essex, East and West Sussex. Here, we have some of the most outstanding galleries, arts organisations, events and festivals in the UK, all featuring work by the world’s foremost artists, towns pulsating with creativity and a breathtaking 1400km coastline that reaches from the Thames Estuary to the English Channel. 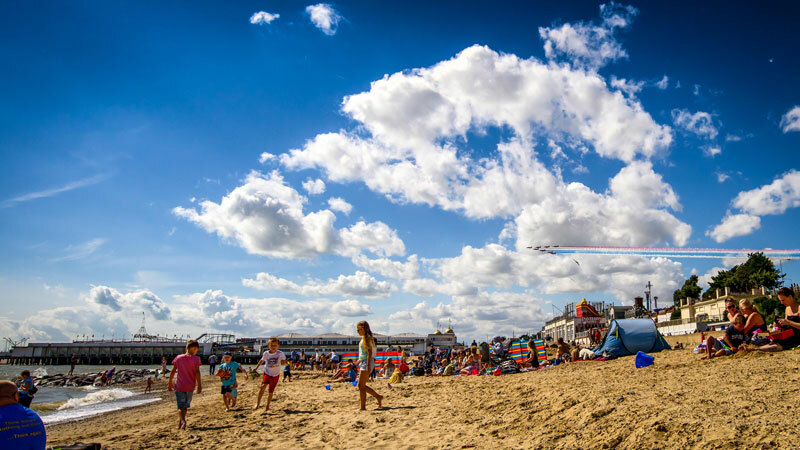 In 2020, England’s Creative Coast is launching seven new outdoor artworks by leading contemporary artists and the first art digital geocaching tour in the world, to connect these creative places. You can experience cultural adventures along this coastline now, using our specially curated package itineraries featuring art, events, food, drink and accommodation offers, and to plan for your visit next year, when you can enjoy the ultimate Creative Coast experience. 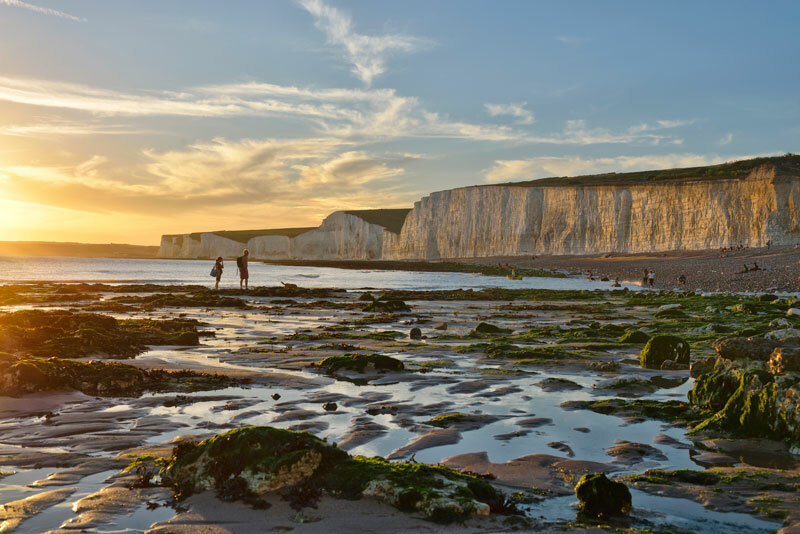 Kent boasts 350km of stunning coastline, with sandy beaches and chalk white cliffs, and is home to some of the UK’s most exciting cultural hotspots. The world class Turner Contemporary in Margate celebrates JMW Turner’s spirit of inquiry with a revolving programme of exhibitions showcasing contemporary and historic art and overlooks beautiful golden sands and the North Sea. 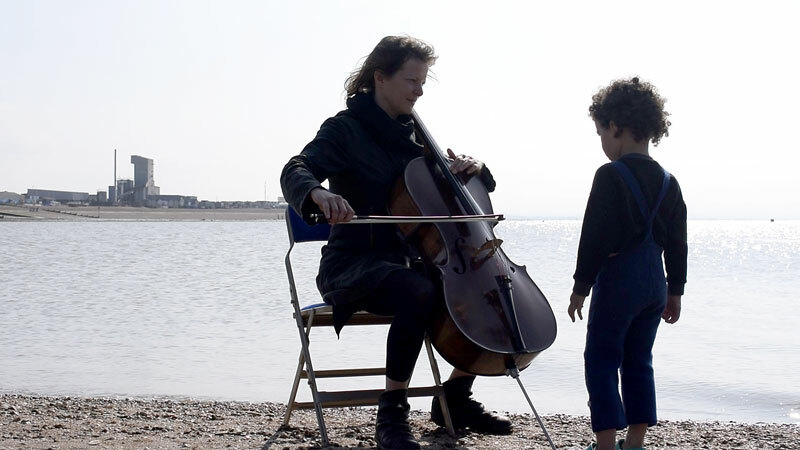 In the quaint seaside town of Whitstable, famous for its oysters, a Biennale takes place very two years and transforms the town into a festival of performance and film with works by emerging and established artists. The Creative Foundation in Folkestone is where you’ll find historic buildings that have been turned into independent shops, cafes, artist studios and galleries. 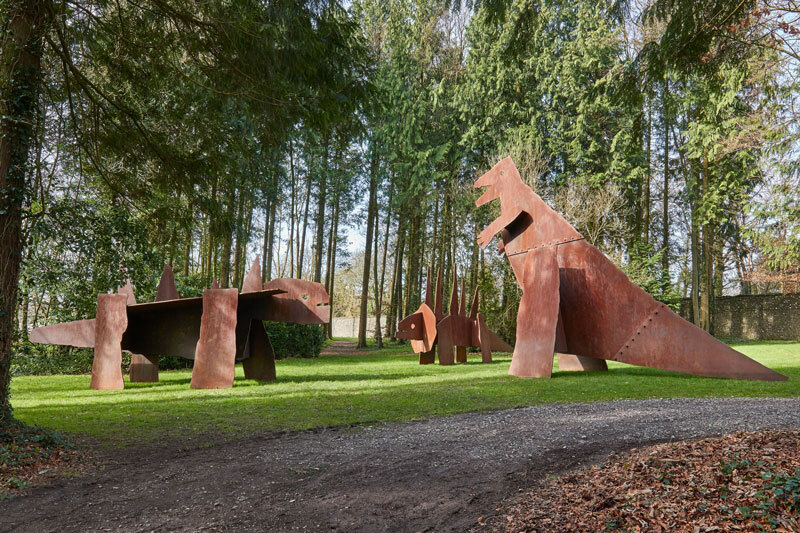 Also find a trail of outdoor Artworks created by some of the world’s most acclaimed living artists as a legacy of the internationally renowned Folkestone Triennial, one of the biggest outdoor visual art exhibitions in the UK, which returns in 2020. Creaking breeze trio-slack tide fulcrum, 2018. Photo Rosie Lonsdale. Sussex and the beautiful South Downs has inspired artists for centuries, from John Constable and William Blake to Eric Ravilious. On the tip of the South East coast near to Beachy Head sits Eastbourne, home to the award-winning Towner Art Gallery with three floors of galleries showcasing modern and contemporary art. 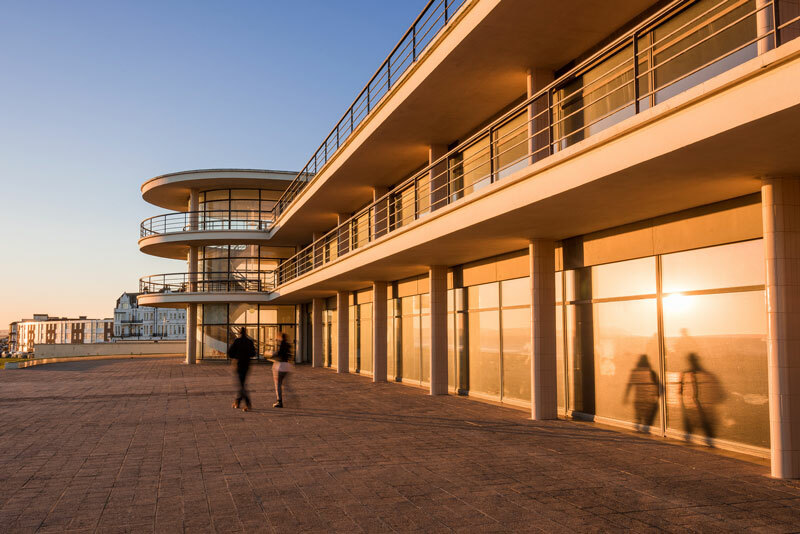 Further along the coast is Bexhill on Sea – a quirky independent town with a contemporary seafront and the iconic modernist 1930s De La Warr Pavilion, presenting exhibitions of contemporary and 20 centuary British art, live performances, film and outdoor events. A trip further east will take you to Hastings, a cosmopolitan coastal town steeped in history. 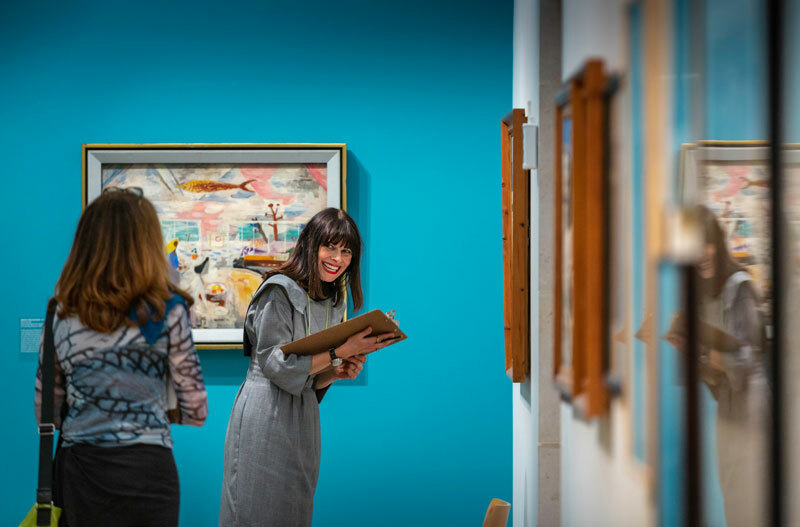 Here you’ll find the Jerwood Gallery of modern and contemporary British art, situated just a few steps from the beach, and close to the Old Town where you can discover artist studios, galleries and antiques. All three galleries form the Coastal Culture Trail to be travelled by bike, train or car. Image Credit: De La Warr Pavilion. Photo VisitEngland. Jake and Dinos Chapman, The Meek Shall Inherit the Earth but not the Mineral Rights, 2007 © Cass Sculpture Foundation. Rich in sites and scenery, Essex has a creative and coastal surprise waiting for you at every corner. Its diverse coastline features tidal inlets, estuarine islands and lonely saltmarshes showcasing its wild beauty and rich wildlife. 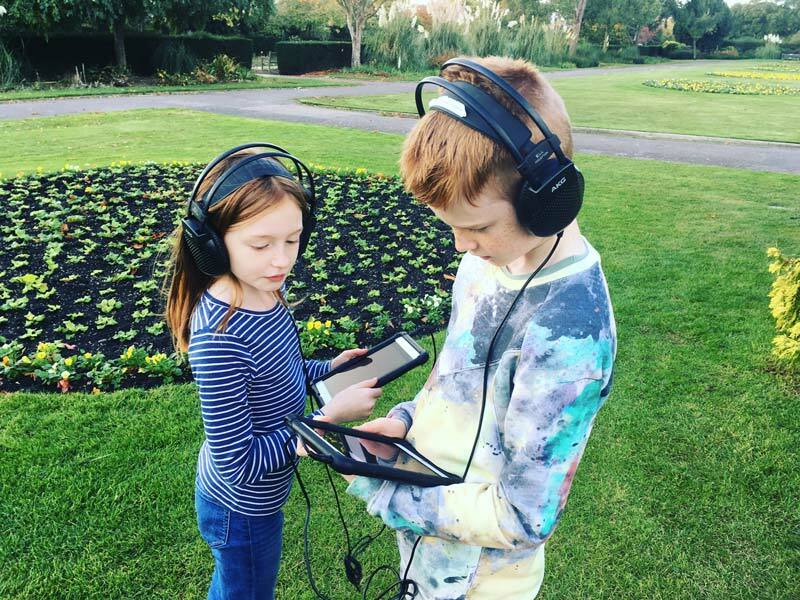 In Southend-on-Sea, experience the world’s first digital art park, NetPark. Be immersed in the outdoors with 15 outdoor digital artworks and enjoy year-round events hosted by the art organisation Metal. Further along the coast is Clacton, Essex’s largest seaside town which runs along its sunshine coast and hosts an annual programme of extraordinary fetes, carnivals and air shows.The 86ft historical landmark, The Naze Tower, is situated in the charmingly traditional seaside town of Walton-on-the-Naze, offering a 360-degree panoramic view of coastal Essex and housing both a museum and art gallery. England’s Creative Coast is led by Turner Contemporary and Visit Kent and aims to inspire visitors to the region. The project is principally funded by Arts Council England’s Cultural Destinations programme and Visit England / Visit Britain through the Discover England Fund, supported by South East Local Enterprise Partnership (SELEP), East Sussex County Council, Kent County Council, Essex County Council, Visit Essex, Southend Borough Council, Coastal West Sussex, Historic Dockyard Chatham and Southeastern and is in partnership with Creative Foundation, De La Warr Pavilion, Jerwood Gallery, Metal, Towner Art Gallery, Whitstable Biennale, PallantHouse Gallery, Cass Sculpture Foundation and Arundel Castle.